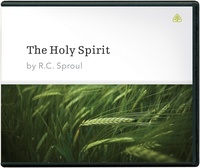 Who is the Holy Spirit and what is His role in redemption? These questions have been especially important since the rise of the Pentecostal and charismatic movements in the last century. Along with a renewed interest in the person and work of the Holy Spirit has come increased confusion. In this series, R.C. Sproul cuts through the complexity, getting to the heart of the Bible’s teaching regarding the third person of the Trinity.